The Widmer R-3-S Basic Check Signer R-3-S saves time and money. 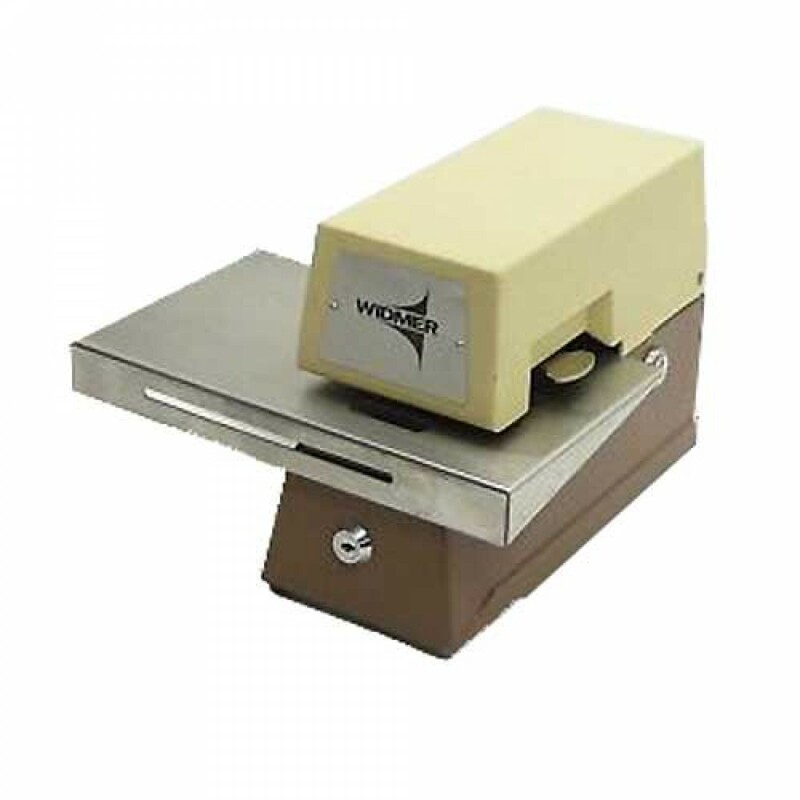 The Widmer model R-3-S is a sturdy and easy to use machine that allows checks to be signed instantaneously and accurately. Outer all metal casing makes the machine near indestructible as well as reliable. Machine comes with a case lock that allows for dependable security as well as a removable die holder for added protection (optional electric security lock available as well).